A couple minutes afterwards I bought Minecraft and have played ever since. 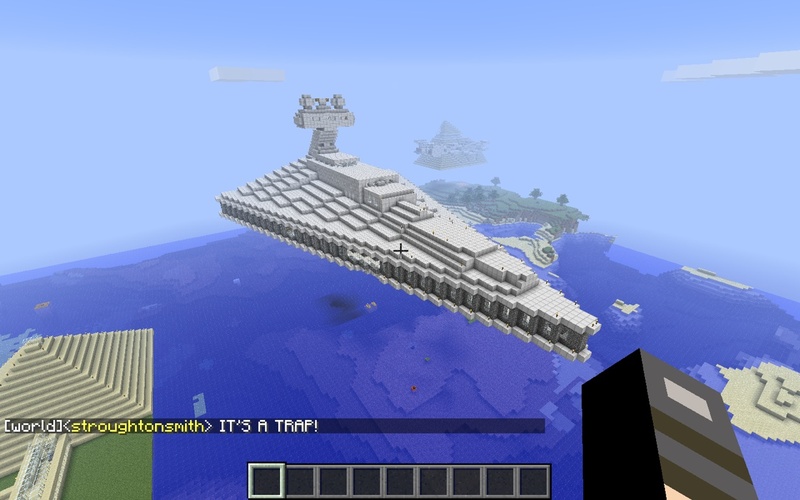 On our multiplayer servers we've had some awesome builds, like ships and spaceships and cities and other cool stuff. Today almost exclusively I play Tekkit, a multiplayer mod pack that adds a ton of 'industrial' components to Minecraft, like machines, power, oil, pipes, engines, computers, and much much more. With it we can build vast factories powered by nuclear reactors, or solar-powered processing plants. There are hundreds of new items in Tekkit that really make the game a more enjoyable experience, especially if you've done everything you can possibly do in vanilla Minecraft. Minecraft has been explosively popular with people of all ages, including young kids, which makes me start to think about one specific mod included in Tekkit, ComputerCraft. ComputerCraft is a mod that adds a 'computer' block to the game (among other things, like a computerized 'Turtle'), which you can interact with, run programs on, etc. 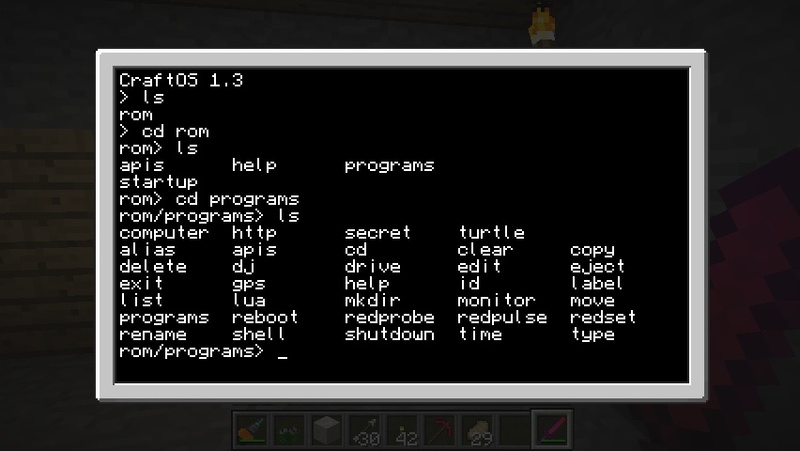 This computer runs a variant of Lua, and all the 'applications' on the computer are Lua scripts - i.e. you can easily open them up and see their source code, edit them and learn from them. 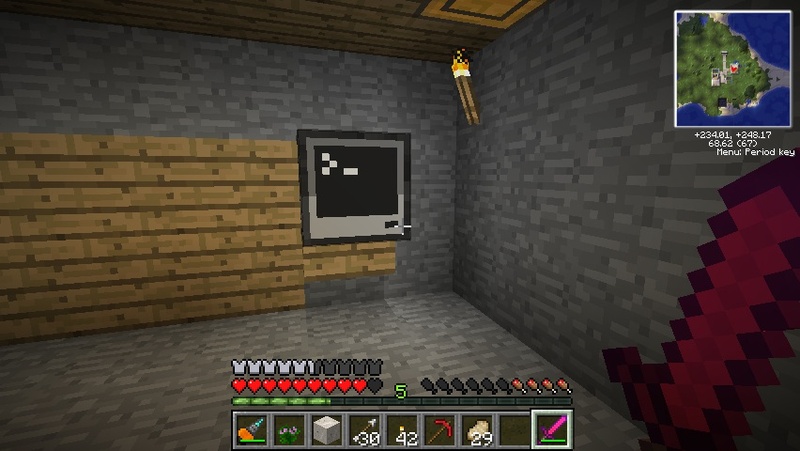 Even better, though, is this computer can be wired up to things in the Minecraft game world, allowing you to control real things inside the game. You could, for example, easily wire up your house lighting (or your Tesla coil-based security system!) 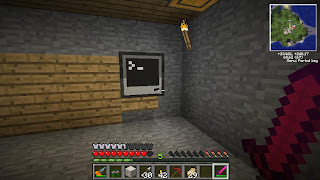 to the computer and with a little script you could turn it on or off, or with a little more practise and skill you could create complex contraptions using the in-game RedStone circuits and pistons or other machines.